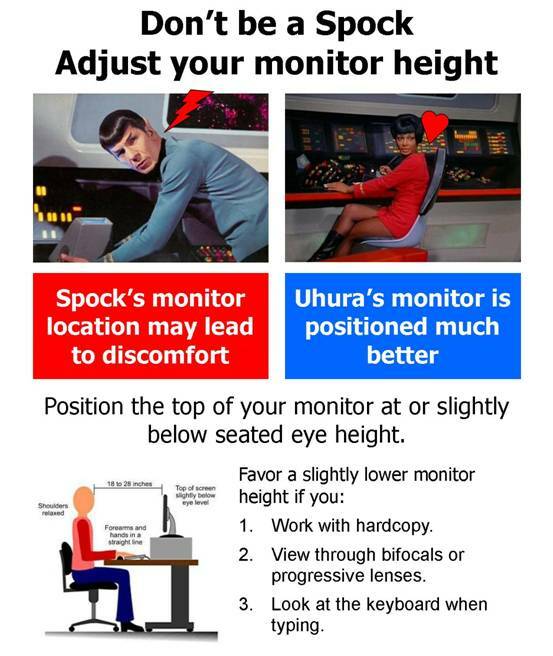 ergocanada.com has a great article on the correct placement, seating, and distance relationships of you and your monitor. Canadians are so smart, helpful, and nice. HewlettPackard.com , although extremely dry and boring, has an informative article as well which includes some tips on handling glare (which is you have a new iMac wink wink nudge nudge you should read).